The final renewal day of this page is June 26, 2004. The larva of Planaeschna milnei is inhabiting to the mountain stream in the forest of a low mountainous region. The flight period is the end of October from the end of June. Female lays eggs to the soft died tree near a flow. 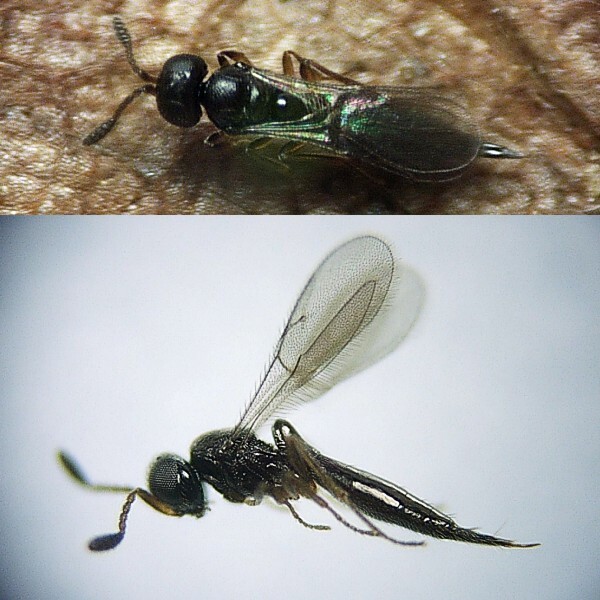 I confirmed the egg-parasitoids wasps of 2 species (Eulophidae and Scelionidae) until now. 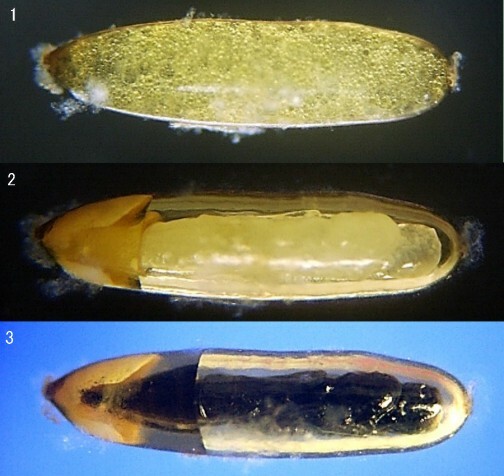 Ｆigure12-1:1.Oviposition of Planaeschna milnei . 2. 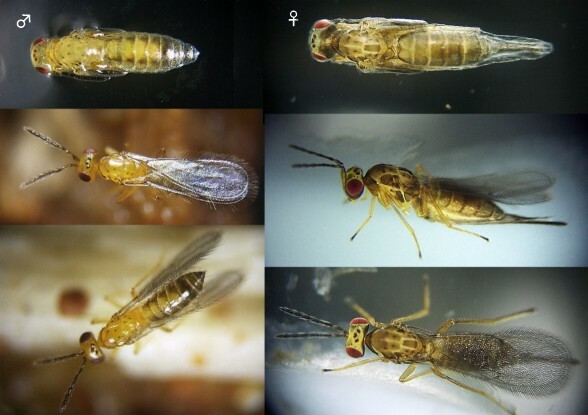 The inhabiting environment of Planaeschna milnei . Ｆigure12-5:Scelionidae　1: April 26, 2004 2: May 12, 2004 3: May 22, 2004　I collected this egg on December 4, 2003. It was May 26, 2004 that the wasp appeared from the egg. 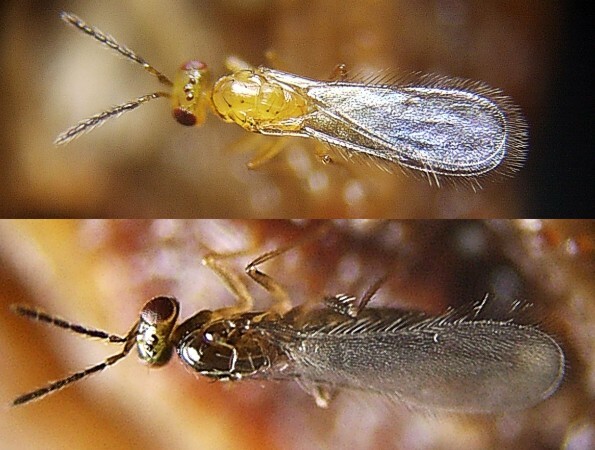 Ｆigure12-6: Scelionidae Size　♀：body length 1.58mm Scelionidae that appeared from the egg of Planaeschna milnei this year was all the females.